This is a Circuit Playground rendition of the classic Simon game from the late 70s and early 80s. The idea is to repeat an ever growing sequence of lights (each with a tone). Here we use the NeoPixels to represent the colors, the capacitive touch pads provide our buttons, and the speaker to play the distinctive tones. 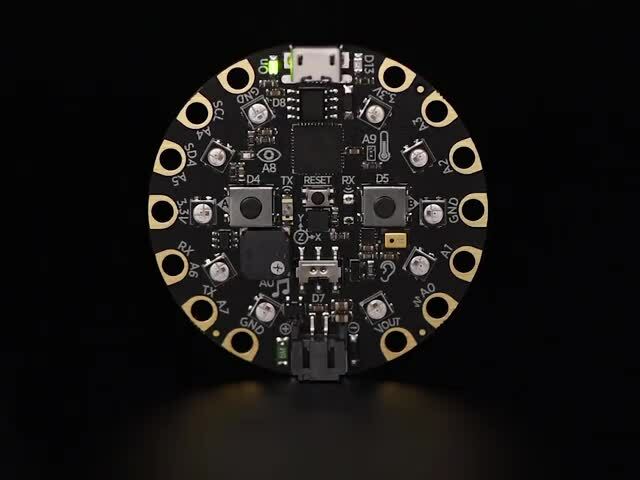 The Circuit Playground is even round like the classic game! The technical information provided on this page was very useful for creating the game. Thanks waitingforfriday for the reverse engineering! Another version of this game is available in this guide by Mike Barela. Also, forum user bbunderson posted another version of Simon you can play on Circuit Playground. Check it out here. 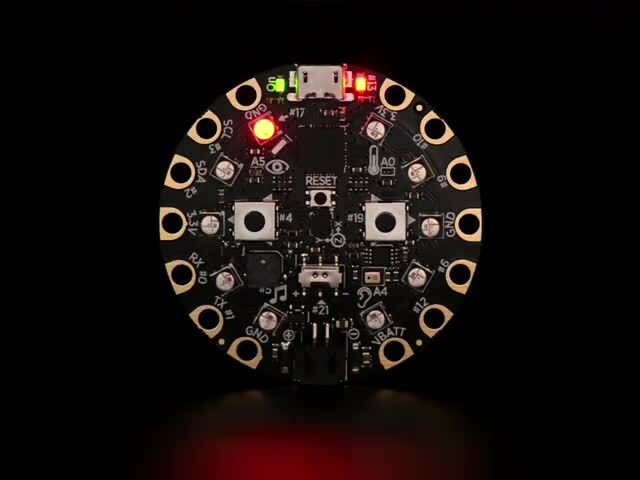 This project uses the hardware already included on the Circuit Playground so no additional electronics or soldering are required. If you want to play the game without being attached to your computer, you will also need some batteries and a holder for the batteries. This guide was first published on Jan 23, 2017. It was last updated on Jan 23, 2017. This page (Overview) was last updated on Apr 24, 2019.